One of the things we were warned about when we first got to Davao was that you can easily get lost because the roads here don't go in straight lines and the names often change. Just like in Winnipeg! That's where the similarities end. Everything else is totally different. 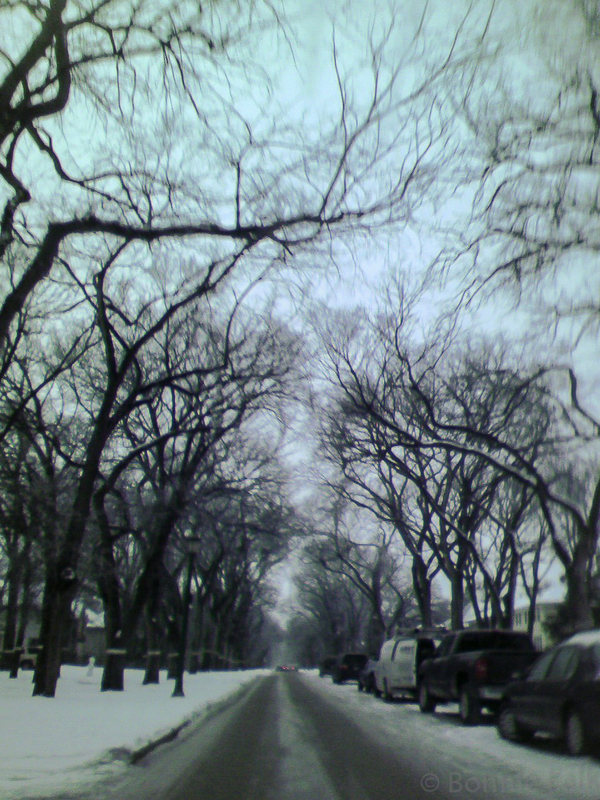 Winnipeg is a car heavy city. Davao is all about public transit. 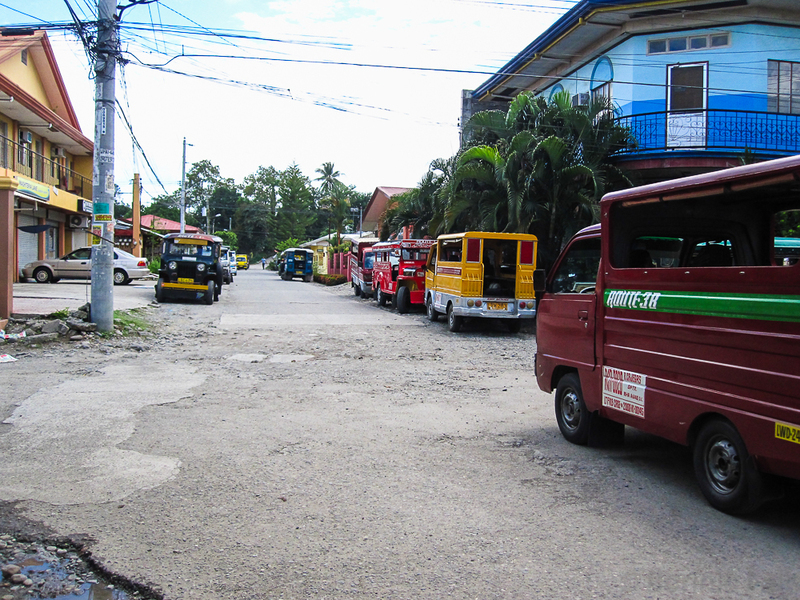 (In Canada there are 60 vehicles for every 100 people, in the Philippines it is 3.) Back in Winnipeg, Evan and I both had our own cars. (My dad had 2 for the longest time... I know I guy that had 6...) Here in Davao we see no need for one. Our NGO has a vehicle that we can sign out if we're heading outside the city. Although, road tripping isn't really a thing here. And some places are not that safe. 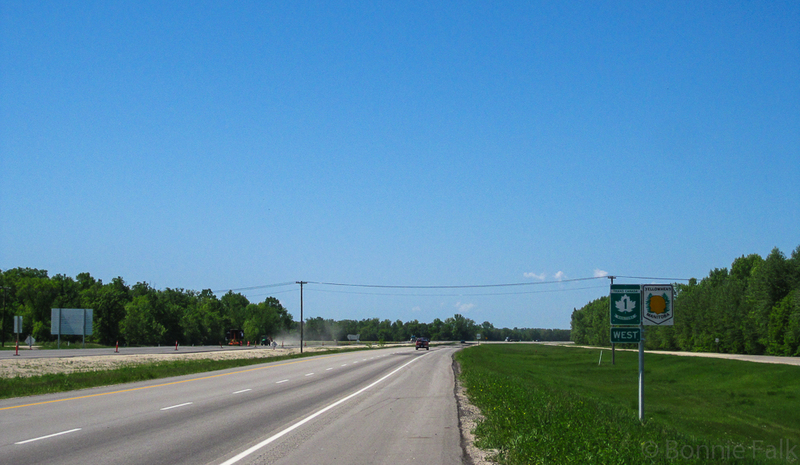 Oh, Trans Canada, I miss you. The most common form of PUV (Public Utility Vehicle) is the Jeepney. You can cram a lot of people into them and it only cost P8 per person. (About $0.20.) 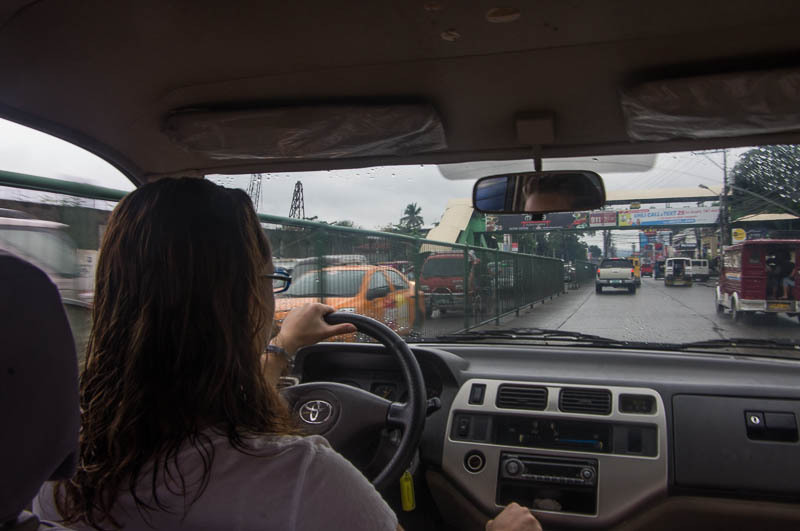 Some jeeps will also go to other towns nearby for a few extra pesos. They are not like buses with strict schedules and stops. They have set routes but they will stop anywhere that someone needs to get on or off and there are just so many of them that you don't usually have to wait long for one to come along that is going your way. We live near the terminal of three jeep routes. There are also a lot of Trikes. These are motorcycles with a surrounding "enclosure" for passengers. You can cram a lot of Filipinos on these but the big white people take up a lot more room! These are only P7 per person. Their routes are more limited as they are not allowed to cross major roads. One of the open trikes. Taxis here are great, too. The fare starts at P40 ($1!!!) and goes up by distance and time. We rarely pay more than P100 ($2.50 - Winnipeg bus fare) to get anywhere we need to go. It is faster than the jeeps and trikes (direct, no stops) plus it has a/c ("air-con" here) so that is our usual mode of transport. When my mom came to visit we signed out the Revo and drove up to Eden Nature Park. I did not take this picture. You can tell because I am driving. Evan took this picture. Besides mode of transport, the rules are different. 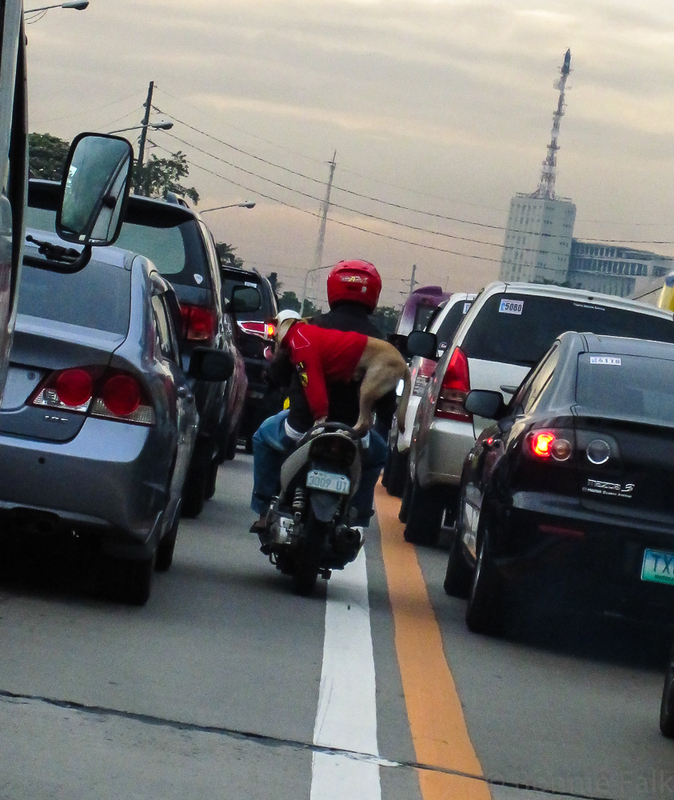 Well, maybe some rules are similar, but they are enforced differently and the culture of driving is a lot different. Scooters and motorcycles are seemingly allowed to weave in and out of other traffic. There are not a lot of traffic signs so half the time you can't be sure what the sped limit is. So people drive as fast as possible... given the traffic and road conditions it's usually not that fast. Also, lanes are just suggestions. There are few traffic lights and no stop signs. The idea is that driving is a negotiation with those around you. People are far more polite and way less given to road rage. I do NOT miss driving through ice and snow to get to work on a cold, dark winter morning. How about pedicabs? They have those in Davao too, right? Right! Yes! I almost forgot about those. There are some but not a lot. We've only been here 6 months so it's still pretty new to us! It was a very informative post, thanks for sharing ! Informative and very entertaining. Looking forward to reading more posts. The first pic of the dog in the helmet is so adorable ! I have never seen anything like this ! Over here in India we have some roads like Manila .. not a pleasant experience to drive on I must say ! Hopped over here as part of A to Z challenge ! We have some friends that lived n India and we saw some of their videos. Crazy! Thanks for hopping by! 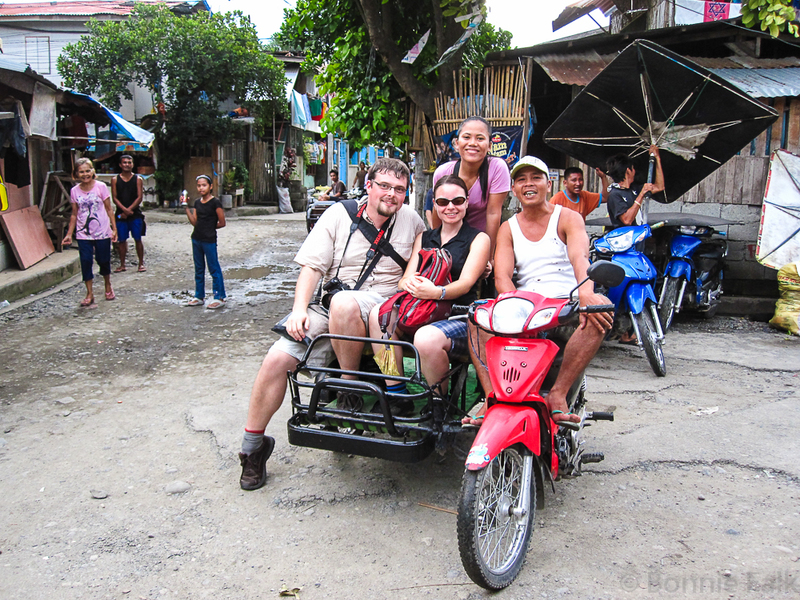 Just dropping in from the A-Z challenge to read your very entertaining blog about driving in the Philippines. I live in Ottawa, Ontario so I can just imagine how different it is for you there as a Canadian. Sounds fascinating. Thanks for sharing with us. Yes, it is a very different experience! I have yet to visit Ottawa but it is on my list! Fun photo! 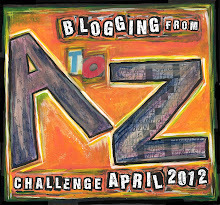 Discovered your blog through the A to Z Challenge! Interesting contrasts. I wouldn't miss driving in snow either, but I would also be annoyed to not be able to rid myself of potholes. I would love to travel the world. I saw a video recently of a guy who taught his dog to ride a motorcycle with him. It's probably more common than we think. Could be! Still, very impressive. We lived in the UK and I always found the driving a little challenging. I think it was easier for my girls because they learned there and didn't have 25 years of driving instincts to counteract : ) Love your theme! At least the traffic drives on the same side for us! I'd be so lost in the UK. Interesting post. I chose D for Drive, but so very different. The dog just stayed there? Neat. 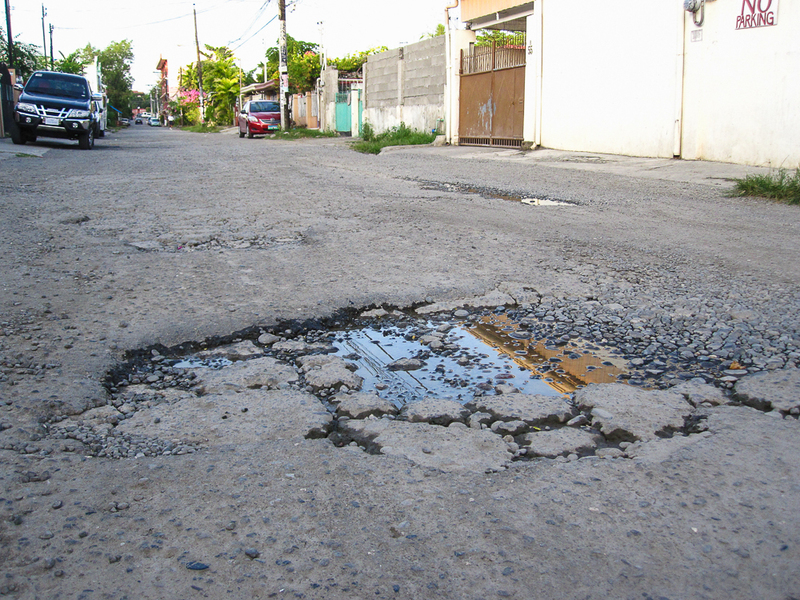 We get some big pot holes here, and I don't like driving in winter either. Seems you're having a great adventure. Yeah, we watched for as long as we could and it was fine back there, weaving through traffic. I concur; that does not sound safe. Thanks for stopping by! Its awesome that there's so much more public transportation, but that driving sounds scary! We lost power here for five days a few years ago. For some reason, there were a lot less wrecks and a lot less traffic-related deaths when there weren't any traffic lights as opposed to when there are. I just don't understand it. Sometimes I think that less hard rules means you actually have to think about what you're doing and that is what makes it safer. I'm all too familiar with pedicabs from my time in Peru. Few people own their own vehicles there because they are just too cost prohibitive for most people. Most people there use buses or local transportation there as well. I'm not sure most Peruvians would even know what a stop sign or a red light is! They didn;t even have signal lights in the capital city of Lima until 2008! I love being in cities with great public transport. Trains are my favourite but that seems to be more of a European thing. That's kind of cool about Peru. I think traffic lights are really new to Davao, too. It's grown a lot in the last few year! Ooo... We want to go to Bali!